Horses are extremely sensitive animals and believe it or not they can sense certain moods and have a tremendous understanding of people. I know when I am a bit fed up they make a special point of giving me an extra cuddle and I come away from them feeling much happier and very grateful to them for their understanding nature. There are many stories of how horses have helped both children and adults. What experience do I have in this area? Before I decided to open Free spirit, I worked for around 6 years in our local high school as a Learning Support Auxillary. I have worked with children who have ADHD, varying degrees of Autism, Aspergers Syndrome and some who have varying degrees of learning difficulties. I also worked as a classrroom assistant enhancing childrens learning. I also worked as Youth Worker which I found very rewarding. I made the decision to start my business which meant leaving the youths behind. Now I have the best of both worlds, I now have a group of children with extra needs from our high school who come to the centre once a week. They spend time brushing, feeding and riding the horses and ponies. 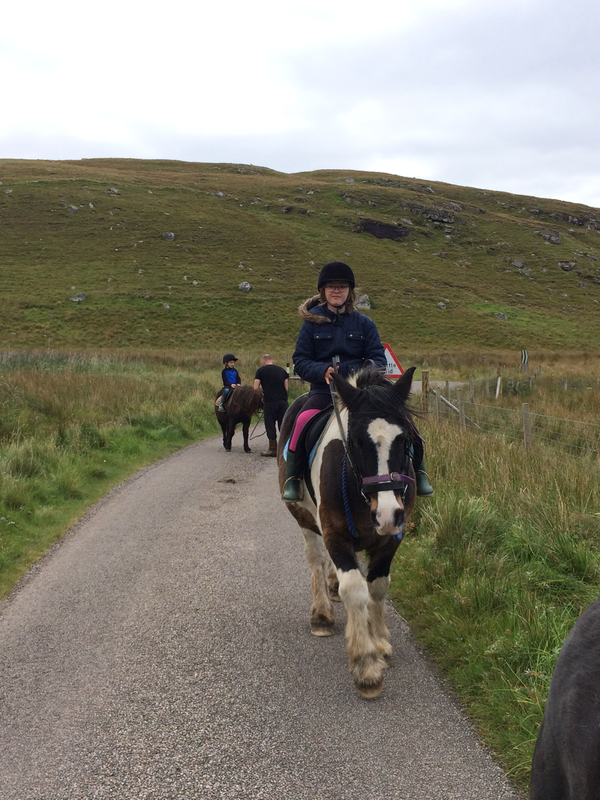 It is the most satisfying experience to see them bond and love their ponies and it brings out the best in each child, I have had many a tear in my eye when I see them achieve something new and how proud they are of their achievements. I have a fairly level yard and easy access into our building. I have gates on the yard, so if you are worried about your charge escaping these can be shut. I have a mounting block to enable riders to get on their horses if needed. Wonderful volunteers who get the same satisfaction as do. Quiet ponies who love cuddles and attention. Please note that I DO NOT have a disabled winch, which does reduce the degree of disability I can cater for if riding. We do not have toilets onsite but these are available on the way to us at Sandwoodbay carpark. Please also note that I do not claim to be a therapist,that is the horses job. I can just provide a safe environment with understanding and patient volunteers. Please do not hesitate to contact me if you would like to disscuss anything further.